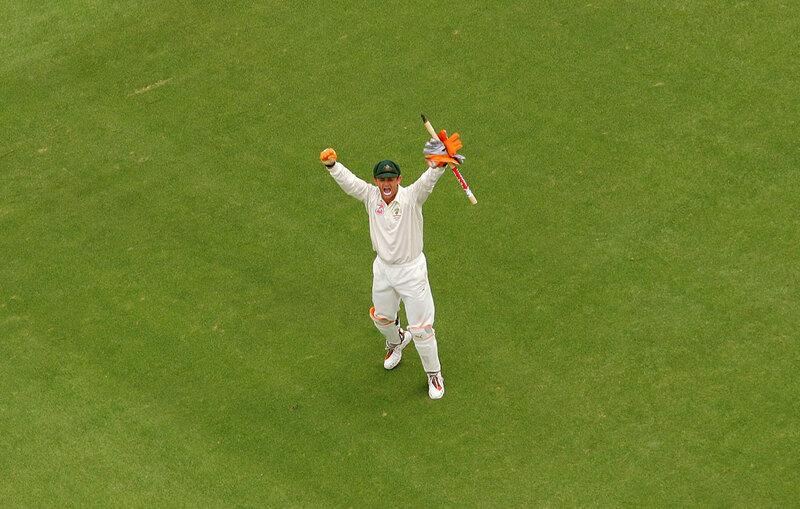 Adam Gilchrist was one of those rare Aussie sportsmen who gave you no reason to hate him. Now how infuriating was that? When I was 12, my family started going to church. We'd never been a religious family, and I'm still not sure exactly what prompted it, but it quickly became a part of our weekly routine. It took a little longer, however, for the Christian message of peace and love towards all men to penetrate our lives. Jesus might be a miracle worker, but even he had his work cut out with my mum and me. It's not that we were misanthropes, but we did have one intractable piece of blind prejudice: we hated Australian sportsmen. I grew up believing that while it wasn't nice to say nasty things about your fellow men - and discriminating against anyone because of their background was definitely not okay - there was an exception for those from down under who were paid either to hit or run with a ball. Our souls were filled with self-righteous anger towards this subsection of humanity. As sports obsessives in the 1990s who treated the England cricket and rugby teams like extensions of our own family, we spent a lot of time watching those we loved getting beaten up by bigger, stronger, blonder boys with nasal twangs. And it made us mad as hell. This wasn't just sport, it was the triumph of tyranny. If I had been Arya Stark, my favourite Game of Thrones character, I'd probably have fallen asleep muttering their names to myself in a vengeful voice. Steve Waugh. Matt Burke. Wendell Sailor. Shane Warne. A better person, or a slightly saner one, would have appreciated that that Australian cricket team was one of the greatest collectives in sporting history, and found something to admire there. But it is hard to look up in wonder when your nose is being ground in the dirt. In the middle of this very painful (and did I mention angry?) time for me, Australia got a new wicketkeeper. Until then they'd had Ian Healy, a man custom-built to demoralise the opposition. You know when you're pulling up weeds and you come across a root that looks like it'll come loose with a quick slip of the trowel, and then, half an hour later, you're still there, sweating and straining with a garden fork, staring at an ugly hole in your flower bed and cursing this thing that seems to be clinging to the very centre of the earth? That was how it felt to watch Healy bat. Anyway, Healy made way for Adam Gilchrist, a man who looked like a cartoon weasel. You could tell from his facial features that he was going to be trouble. There couldn't have been more naughtiness written all over his features if he'd passed out next to a college frat boy holding a Sharpie. If Healy was an obdurate gnome, Gilchrist was a gremlin someone had fed after midnight, and possibly injected with cocaine. It's funny how Gilchrist's innings, fashioned as they were out of high explosive, seemed entirely unique in the era before T20. How they landed on Test matches like meteorites, obliterating all that had come before. He batted with the unfettered exuberance of a schoolboy, humbly telling the world that he wasn't trying to do anything more complicated than to hit the ball the way his dad had taught him. In an era when England's best batsmen couldn't get out of their heads long enough to make it to double figures, it just added insult to injury. 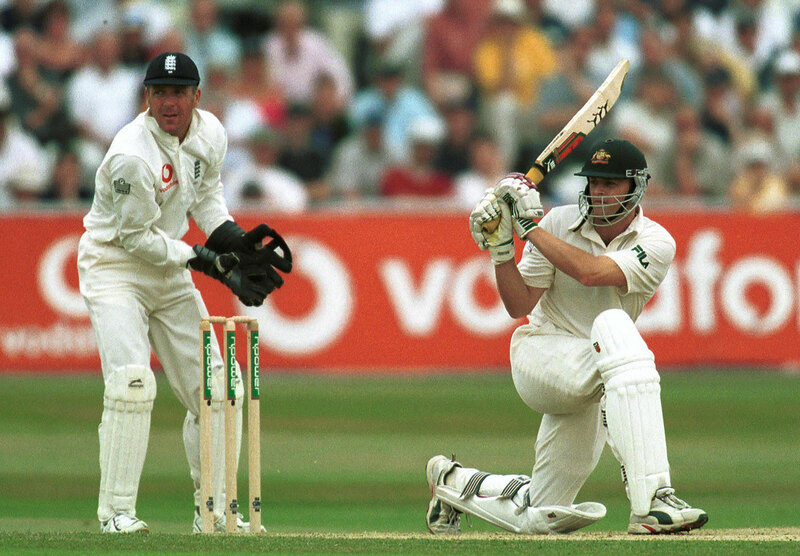 Unlike Kevin Pietersen, Gilchrist's free-hitting style never became an excuse for getting out early. In the Ashes summer of 2001, he perfected the particularly annoying habit of coming in just when a game looked like it might get interesting, and ruining it for everyone with one of his irrepressible counterattacks. And say what you like about his record-breaking 149 in the 2007 World Cup final, but didn't it wreck the game as a contest? What was particularly offensive about Gilchrist was that he could keep wicket too. At a time when every other team was struggling to find a keeper who could bat, or a batsman who could keep, Gilchrist made both arts look distressingly easy. For an England fan who had spent the best part of a decade reliving the Alec Stewart debate - should our best batsman really be hampered by the extra demand of wearing the gloves? - his all-round excellence was especially galling. It seemed, not to put too fine a point on it, to be taking the piss. But the worst thing about Gilchrist - the thing that really stuck in my craw, the reason he became the noirest of all my Australian bêtes - was simply this: there wasn't a single good reason to dislike him. This had never been an issue before. Most of the Aussies gave you something to work with - rudeness, arrogance, terrible hair - and Warne generously did it every time he opened his mouth. But Gilchrist wasn't only the most entertaining player in their side, he seemed like a decent guy too, damn him. He seemed free of the insolent swagger of some of his team-mates. He was married to his high-school sweetheart. And then there was that bloody walk. The one that the cricket world reacted to as if he'd somehow channelled Mandela and Gandhi with that one glorious, righteous act. This despite the fact that, as Healy has pointed out, Gilchrist was never in another situation where he had to walk in international cricket. And his apparently superlative morals never stopped him joining the team in dubious appealing or angry sledging. Oh, who am I kidding. Even as I write this, I know I can't convince anyone to find fault with Gilly. The man scored a 57-ball Ashes century, for Pete's sake. He smashed 24 runs* in a Monty Panesar over, which was pretty much the only entertaining thing about that 2006-07 whitewash. But I wasn't ready to like an Aussie cricketer at that stage of my personal development, much less love one. God forgive me.